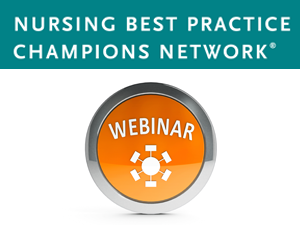 This webinar presentation will highlight RNAO’s Advanced Clinical Practice Fellowship program aimed at developing and promoting nursing knowledge and expertise, and improving client care and outcomes in Ontario. Lisa Prowd, a public health nurse and ACPF graduate, will highlight her ACPF journey including a variety of strategies she used to achieve fellowship outcomes. Lisa will discuss the value of mentorships and partnerships with other community health organizations in the area of best practice guideline implementation knowledge and skills. Tasha Penney, RNAO Program Manager for the ACPF program, will provide a high-level overview of ACPF, identify the eligibility requirements for participation, highlight the four types of fellowships and outline the application, review and selection process. understand the benefits of embracing an Advanced Clinical Practice Fellowship to enhance nursing knowledge and skills related to best practice guideline implementation. be able to identify strategies used to achieve fellowship learning objectives.